An active compost pile creates heat. A thermometer helps ensure your FreeGarden™ EARTH is working at its best. The ideal temperature range of a backyard compost pile is 135-160°F. 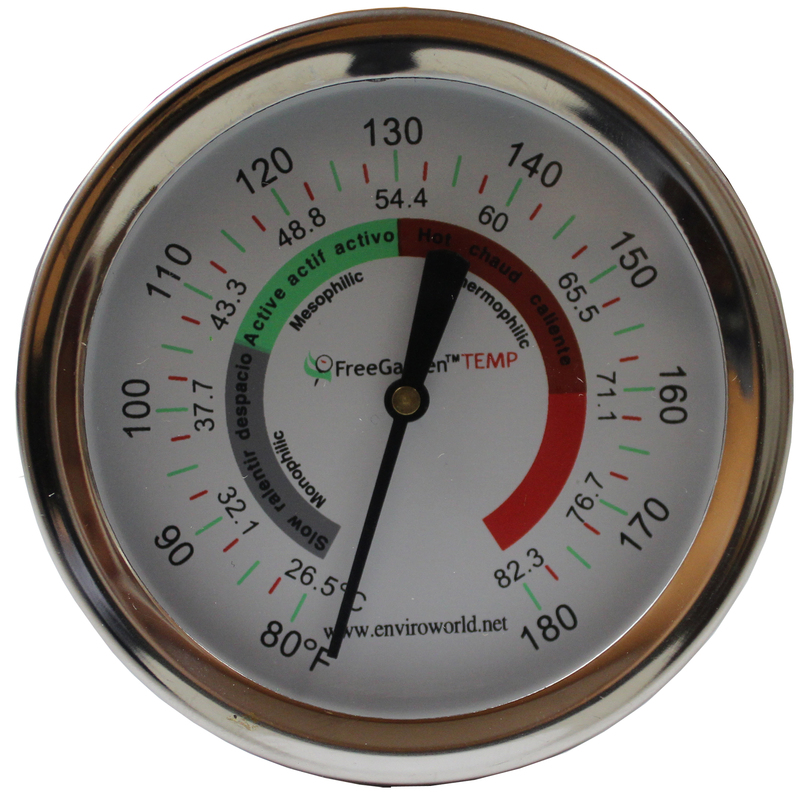 The FreeGarden™ TEMP thermometer has a long stem to accurately measure the center of the compost pile and a large, easy-to-read Fahrenheit dial.